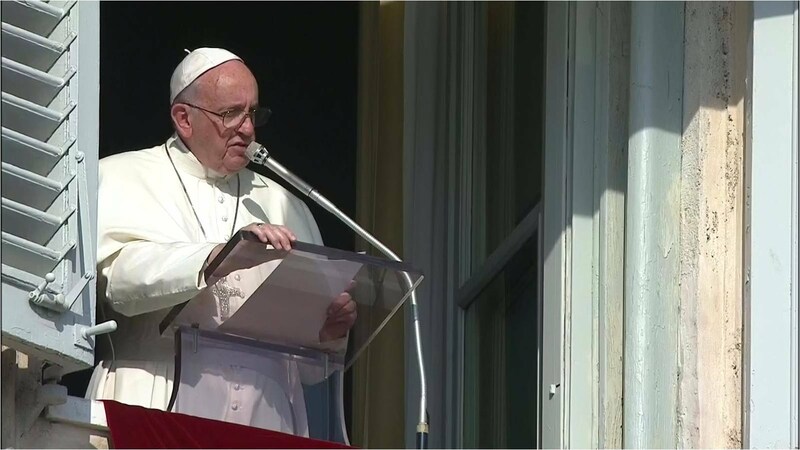 At the Angelus, Pope Francis recites a Hail Mary that the meeting between the two leaders brings "a future of peace" for Korea and for the world. "Sin against the Holy Spirit, the only unpardonable sin, because it is born of a closure of the heart to the mercy of God acting in Jesus". It can happen to us too to "destroy the good reputation of the other", "in a premeditated way". This attitude is capable of destroying families, friendships, and society as a whole. "All those who welcome the word of Jesus are sons of God and brothers and sisters among themselves". Mary, perfect disciple. Vatican City (AsiaNews) - Two days ahead of the meeting between the US president and the North Korean leader, Donald Trump and Kim Jong-un in Singapore, Pope Francis has expressed his attention and concern for "the beloved Korean people". 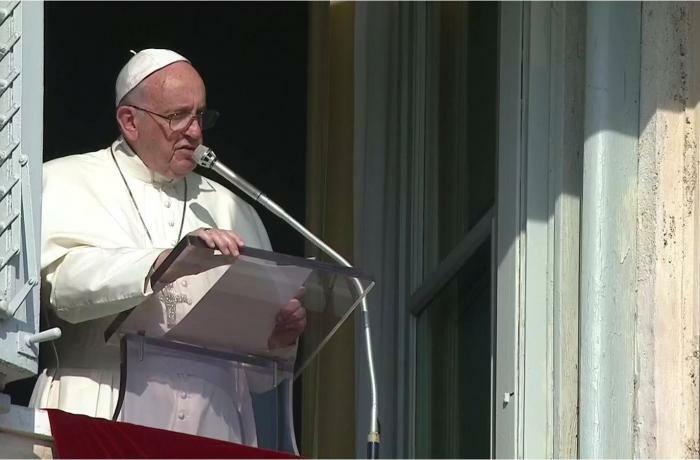 Speaking to the pilgrims gathered today in St. Peter's Square for the recitation of the Angelus, after the Marian prayer, he entrusted the "Dialogue of these days" to "Our Lady, Queen of Korea", to ensure "a future of peace for the Korean peninsula and for the whole world ". His call was followed by an invitation to those present to recite the Hail Mary together. It is not the first time that Francis has mentioned or prayed for peace in Korea: he had already recalled the inter-Korean dialogue on April 29th, at the Regina Caeli. He also sent a letter to the Korean Church to pray for the success of the talks. At the general audience on May 30th, he taekwondo athletes from North and South Korea had performed for him, displaying a banner saying "Peace is more precious than victory”. Previously, Francis dwelled on the Sunday gospel (10th, year B, Mark 3,20-35), explaining that Jesus "had to face" two types of "incomprehension": that of the scribes, "men educated in the Sacred Scriptures ", and" that of his own family ". The scribes, he continued, make "a precise and terrible accusation:" He is possessed by Beelzebub and drives out demons through the chief of the demons "(v.22). In fact Jesus healed many sick people, and they want to make believe that he does it not with the Spirit of God, but with that of the Evil One ". In this way, "without realizing it, [they] are falling into the gravest sin: denying and blaspheming the Love of God that is present and working in Jesus. It is sin against the Holy Spirit, the only unpardonable sin, because it is born of a closure of the heart to the mercy of God acting in Jesus ". The Pope pointed out that "sometimes a strong envy for a person's goodness and good works can lead to falsely accusing them. Here there is a deadly poison: the premeditated malice with which one wants to destroy the good reputation of the other. May God free us from this terrible temptation!”. Francis advised that regarding this sin there is only one remedy to "immediately confess it in the sacrament of Penance, before it develops and produces its evil effects". This attitude - he added in unscripted remarks- is capable of destroying families, friendships, and society as a whole. The other misunderstanding is that of the relatives of Jesus, "worried, because his new itinerant life seemed madness to them (see verse 21). In fact, He showed himself so available to the people, especially to the sick and sinners, to the point that he no longer had time to eat ". Jesus refuses to meet his own. His answer ("whoever does the will of God, is for me is brother, sister and mother"), shows that "Jesus has formed a new family, no longer based on natural bonds, but on faith in Him, on His love that welcomes us and unites us among each other, in the Holy Spirit. All those who welcome the word of Jesus are children of God and brothers among themselves ". "That response from Jesus - he concluded - is not a lack of respect for his mother and his family. Indeed, for Mary it is the greatest recognition, because she is the perfect disciple who has obeyed the will of God in everything. May the Virgin Mother help us to live in communion with Jesus, recognizing the work of the Holy Spirit acting in Him and in the Church, regenerating the world to new life ".